While finding the appropriate design and construction of the After Tan Co collection was key, it was critical that the right fabric was used. I needed to find something that had properties complementary to the tanning process – light, breathable, antibacterial and gorgeous on the skin. Bamboo delivered, and this is a truly unique point of difference for the whole collection that I know you are going to love. When it came to the After Tan Co fabric composition Bamboo fabric was a no brainer for a range of wonderful reasons. Soft & Silky. So soft in fact that the bedding feels like the equivalent of 1400TC sheets. 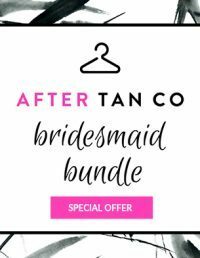 The After Tan Maxi which is 95% bamboo feels absolutely glorious on the skin. Highly Durable. This fabric has proven to last the distance. 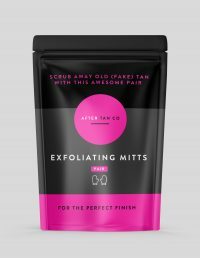 So you can use your After Tan Co products again and again. Breathable. Basically bamboo is great at temperature regulating. So if you are prone to heating up with a fake tan on, the bamboo properties of these products are designed to keep you comfortable. Excellent for fake tanning. Anti bacterial & Eco Friendly. Not only does Bamboo grow without the assistance of significant amounts of pesticides, it contains anti bacterial agents perfect for warding off bad bacteria and sensitive skin.